This is very cool. 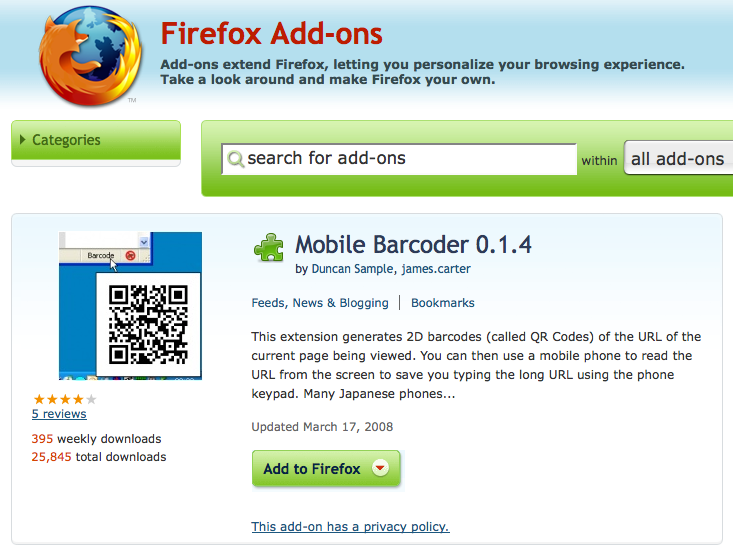 Install, restart, run your cursor over the word ‘Barcode’ in the lower right corner and in an instant you’ve got a QR Code for the site. Read on for the full story, their lat/long, etc.